But what's going to happen to Project Tango? 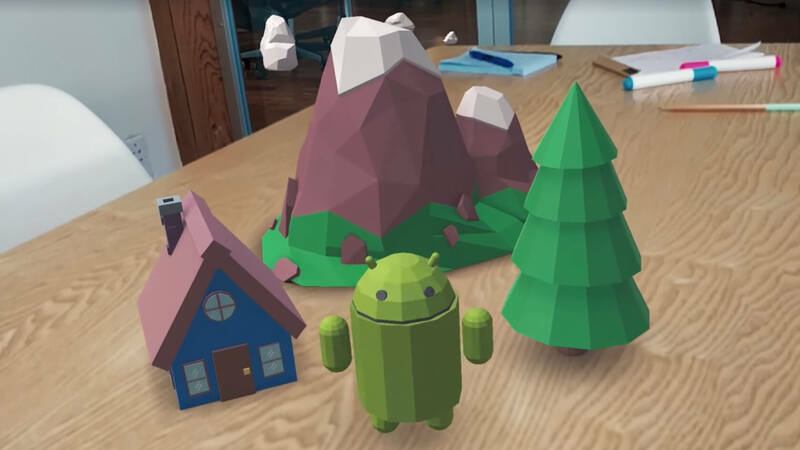 Today Google launched a preview version of its new augmented reality software development kit (SDK) called ARCore. The SDK gives developers a framework, APIs and a robust set of tools to use in creating AR experiences. More importantly, ARCore is geared to work on any Android phone, not just Tango-equipped devices. You might recall Project Tango which Google began in 2014. At that time, the developers were focusing on creating a phone with extra sensors to implement augmented reality. The direct fruits of that project were the Lenovo Phab 2 Pro and the Asus ZenFone AR. An indirect product of the Tango research is ARCore. "We've been developing the fundamental technologies that power mobile AR over the last three years with Tango, and ARCore is built on that work," said Dave Burke, vice president of Android Engineering in a blog post. "It works without any additional hardware, which means it can scale across the Android ecosystem." While ARCore currently only works on Google’s Pixel and Samsung’s Galaxy S8 running Android 7.0 Nougat or higher, the aim is to bring it to all newer Android phones. The team hopes to have it running on 100 million devices by the end of the preview period. In addition to Samsung, Google is reaching out to Huawei, LG, Asus and others with information and guidance on how to make their future phones compatible with ARCore. While the platform does not require additional hardware, Google does want to ensure devices can run the AR engine. In developing the platform, Google focused on three key components of the system: environmental understanding, motion tracking and light estimation. Judging from the demo video above, the results are pretty impressive. Environmental understanding within ARCore is capable of detecting horizontal surfaces and responds with a map for placing objects. The motion tracking is accurate and keeps the 3D models in place on the map despite any movement or tilting of the camera. Light estimation is an intriguing feature in which the system monitors ambient lighting conditions so that developers can implement real-time lighting effects within their applications. A couple of other features that Mountain View is working on within the scope of ARCore is a Visual Positioning Service (VPS) and a custom web browser specifically designed for AR. The VPS will make it so that developers can create lifelike, full-scale AR experiences within the world. The custom browsers, rumored to also be compatible with Apple's ARKit, are currently in prototype but will allow augmented reality content to be created and viewed on a website. Google has a whole page of “AR experiments” that show off the capabilities of ARCore. Most of them are silly with little apparent value other than the novelty factor. However, the demos do give you a sense of the possibilities were a serious developer to put its resources behind an ARCore project.